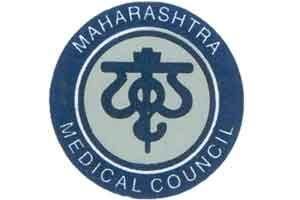 Pune: Acting in favor of the Indian Medical Association (IMA) allegations against the dissolution of Maharashtra Medical Council, the Court has directed orders to the state to issue notification to MMC to conduct polls for the appointment of its members. A government notification was issued in this respect on September 20 to the state body. According the a report by the Indian Express, a notification by Ajit Sasulkar, Returning Officer, Election to the MMC said that, the polls will be conducted on December 18 2016, based on which the registrar will be appointed. The council was reconstituted in the year 2011 with 18 members in the council which consisted of nine elected members and nine appointed by the state. In July this year the Indian Medical Association approached the Bombay High Court against the appointment of Dr Dilip Wange, an associate professor at R A Podar Ayurveda College and the registrar of the state’s ayurveda council, as the new registrar of the the Maharashtra Medical Association. The petition filed by IMA said that the decision of the state for appointing the registrar was terming the decision arbitrary. As the MMC’s five year tenure ended, the council was dissolved by the state government. With the dissolution new administrator was appointed by the state medical education department Dr Abhay Chowdhary, in order to run the state medical council. However, on this the Indian Medical Council filed a petition in the Bombay high court again against the dissolution of MMC which has been heard by the court and date for elections is set. Dr Shiv Utture, former executive committee member of the MMC has said that “the court order would now allow a democratically elected body”. For the upcoming election to be held on December 18, the state government will invite the candidature for the nomination of MMC election later by October 24 2016.